Super Buddy - Applied Instruments, Inc. 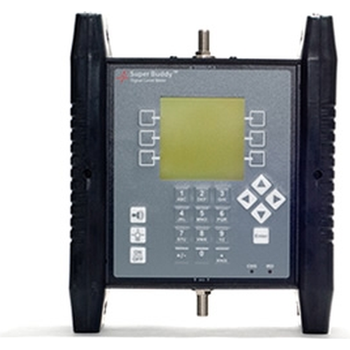 Complete more installs faster and better using the Super Buddy satellite finder meter. Be "sure of your bird" with the positive ID feature or use the automatic scan to identify the unknown satellite. The Super Buddy's geo-sensitive "Field Guide" shows you just the birds visible to your install -- ALL of them, with their individual transponders. The Super Buddy even gives the elevation and azimuth for whichever satellite you select.